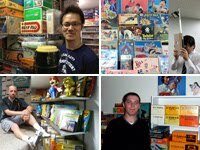 In the 1960s, Nintendo released two Ultraman games. 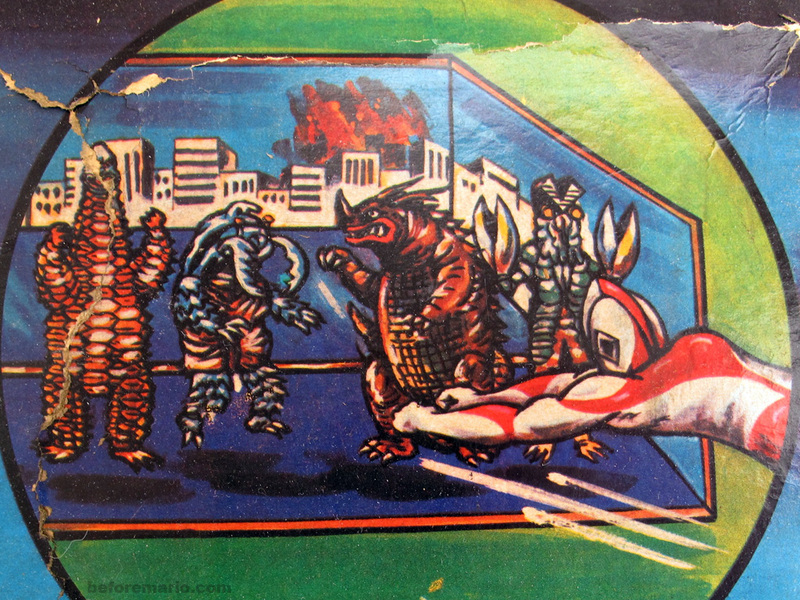 In a previous post we looked at the first one; the Ultraman board game. Today we will check out the second one. This Ultraman Game is an action game. The box of this copy has seen better days, but it is so rare that I was happy to acquire it in any state. The front of the box shows a scene familiar to superheroes like Ultraman. We find him in the thick of a fight with some mighty monsters. Amidst an inferno of blazing buildings, with city folks scrambling for their lives, we see the towering Bemura, spitting fire. Meanwhile, Ultraman is busy dealing with Gyango. In the top right corner of the box, an illustration hints at the actual game play. More on that soon. Just like the other Ultraman game, the game is called simply Ultraman Game (ウルトラマン ゲーム). It is a bit confusing, to sell two very different games under the same name. This Ultraman Game retailed for ¥500. 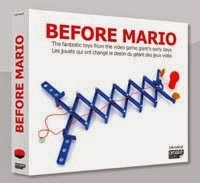 It was slightly more expensive than the other one, which is understandable, as it also was a more elaborate game. The game consists of a 'stage' built from three pieces of cardboard, five monster targets, a launch ramp and a plastic Ultraman figure. The stage had to be self-assembled, as indicated on the front of the box ('組立式'). The three pieces are made from thick, high quality cardboard with printed scenery. This will be the backdrop of the game. The scene is that of a seaside city, in dire need of assistance. Some soldiers at the beach are signaling for help. The main piece has a hinge in the middle, which allows it to be placed in an L shape. The two side-pieces attach on either side, to form a box that is closed on four sides. The box is around 35 centimeters wide, 25 centimeters deep and 18 centimeters high. The bottom piece has a steep slope, which provides an illusion of additional depth. When the monsters are placed on stands inside the box, it becomes clear why this city needs help. And help is just around the corner. The Ultraman figure, which is around 7 centimeters big, is put into position onto the launch ramp. The launch ramp is placed a good one meter or so from the stage. There is a rubber band inside the ramp, which will provide the fire-power. When the figure is pulled back, this band is stretched. Now it is a matter of aiming at one of the monsters, and letting go. Immediately Ultraman catapults forwards, with arms outstretched. Yes. A direct hit! Well done, Ultraman. Six points for you. Different monsters score different points. Players take turns firing Ultraman at the monsters. The player who amasses the most points wins. Simple and fun. The story of the other Ultraman Game can be found here. Nintendo also released an Ultraman Picture Cutter set, an Ultraman electric clock and Ultraman playing cards.